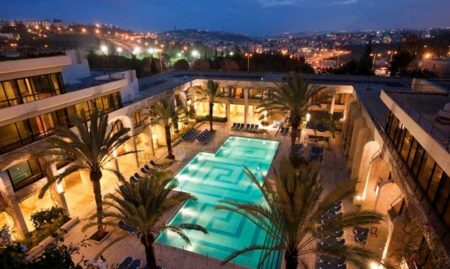 The Jerusalem Sephardic Center Hotel offers accommodation for locals and tourists in the Old City’s Jewish Quarter. You can choose for just one night or plan for a family gathering just near the Western Wall. Rooms are available as single, double, triple, or for entire families. 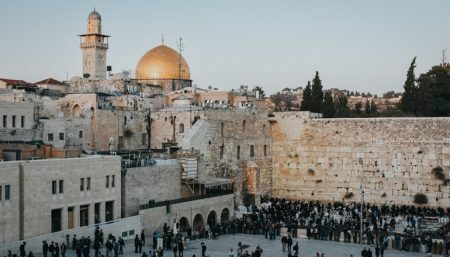 The Sephardi Center’s draw is not only good accommodation and proximity to the Western Wall, but that it’s next to the Four Sephardic Synagogues complex. When the man sitting discretely by the front door in a small hotel wears a gun, you are entitled to feel paranoia when things go wrong in Jerusalem. At 11am on Saturday 13 April, I was waiting with our cases for my wife, intending to book a Gett taxi to Ben Gurion Airport. Gett had provided a great car and driver to bring us from Tel Aviv to Jerusalem. The receptionist seemed very keen to let him book a car for us. That at 300 shekels it was 10 shekels less than Gett, was unimportant. I had excess shekels and it made sense to pay for a car in cash rather than via a credit card with Gett. The receptionist called for a car. He said it would arrive in 7 minutes. It took longer - no big deal. Our cases were loaded and we set off. Ten minutes into the journey, the driver stopped the car, said he would be just a moment and disappeared into a building, My wife became frightened, We has been left in a car with no explanation and didn't know what was happening. She found the driver at a desk doing a deal to take some additional passengers. A diversion to take additional passengers was not part of our deal! She protested to no avail. When we finally go to the airport, the driver asked me for 400 shekels saying this was the Shabbat rate. We had no doubt the receptionist was in on the deal. We left Israel with a sour taste and my wife says we should not return. As the for the hotel. The room was very small but sufficient with an excellent wet room. Breakfast was good. In reception there were complimentary juices and soup. The location is great - but just don't trust the receptionist. The Sephardic House, as others have mentioned, is perfectly located. Inside the city walls, yet still accessible to taxis. (Believe me, you will appreciate this) It is located between the Zion and Dung Gates, easy walk to either. Short walking distance to the Western Wall, the Cardo area, Dome on the Rock, Armenian Quarter, City of David, etc. I loved staying inside the walls because when darkness falls, Jerusalem is magic. Everyone takes a breath after all the visitors have gone back to their hotels outside. The rooms at Sephardic House are huge, very clean, and great for sleeping (dark and quiet.) The staff were all very kind and helpful. Breakfast options were large. This is the perfect base for exploring this intriguing city. Did not stay here but a group of us had Shabbat dinner here on a recent trip to Jerusalem. Nothing fancy but a solid meal at a fraction of what other hotels charge for prepaid Shabbos meals. $50 or $55 vs $125 or more elsewhere. They had a good selection of chicken, fish and meat along with an assortment of salads, hummus, etc. Three or four different dessert options including a delicious red velvet cake. We brought our own wine for a small corkage fee. 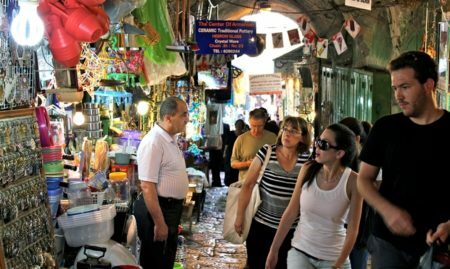 A great option if you are Shabbat observant and looking for something prepaid in/near the old city on a more reasonable budget. Nothing fancy but a solid meal that won’t break the bank.